Join the plundering pirates of the Carribean. 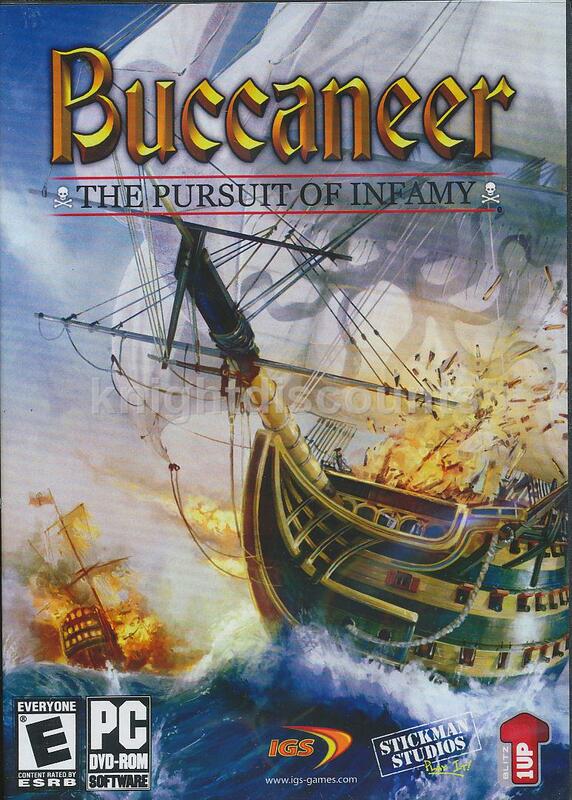 Buccaneer is a single and multiplayer game where players strive to become the most infamous pirate captain of all time and etch their name in The Hall of Infamy. 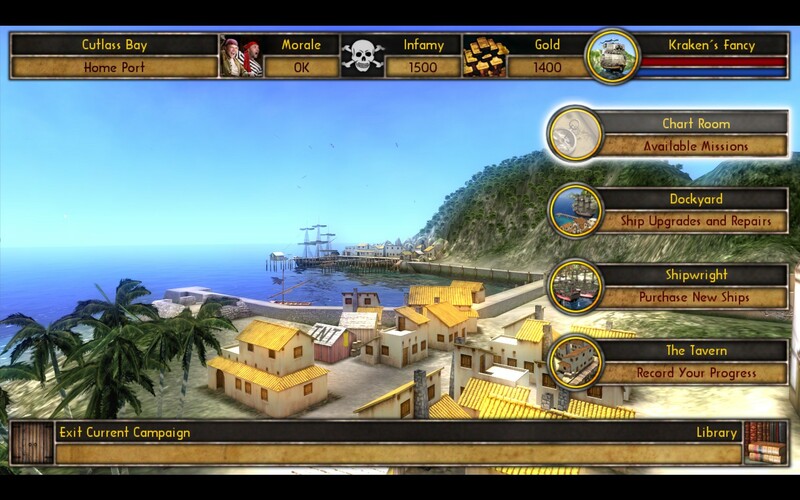 Set against a backdrop of the sunny Caribbean, players will control a variety of classic tall ships, bristling with cannons, as they plunder their way through a 50 mission campaign and go head to head against other cut-throats online. 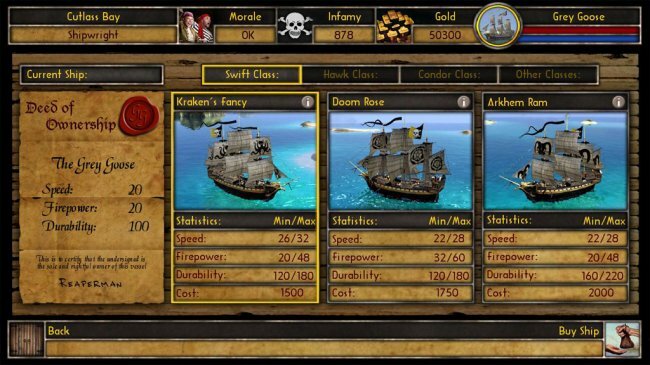 Employing a simple and intuitive control system, players will be able to jump straight into the action and begin their career in piracy. With a wide variety of non-linear single player missions and a choice of more than a dozen fully customizable ships, Buccaneer will have budding pirate captains clamoring for more! 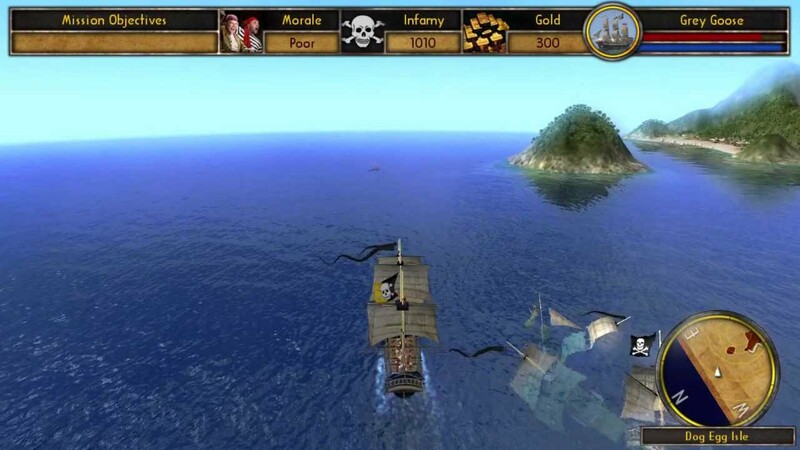 Enjoy swashbuckling single player campaign across 50 plus missions. Compete against up to 18 other cut-throats in team based multiplayer mode. Captain one of 26 upgradeable pirate vessels. Explore the beauty of the Caribbean, with stunning shader technology. Instantly accessible arcade-like controls, both simple and intuitive. Enjoy a deliciously crafted game world. Jump right into the action with Buccaneer: The Pursuit of Infamy! 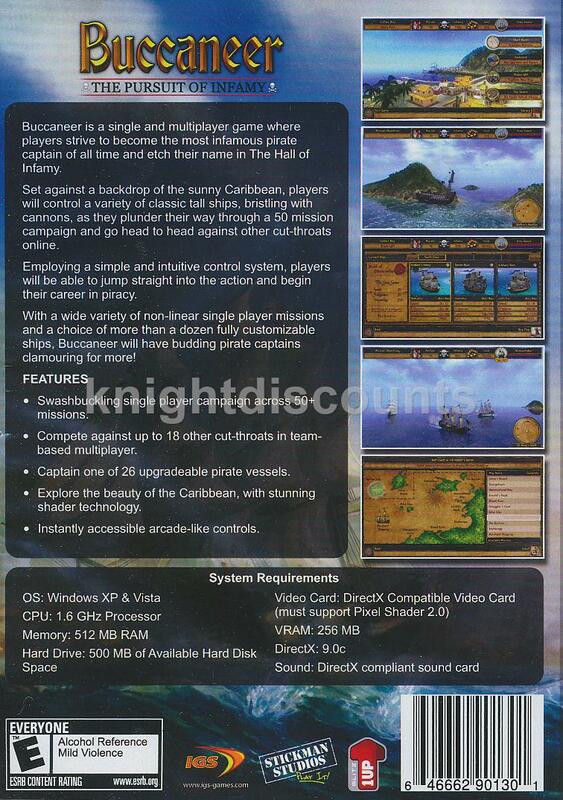 DirectX compatible sound card, DirectX 9.0c or greater. 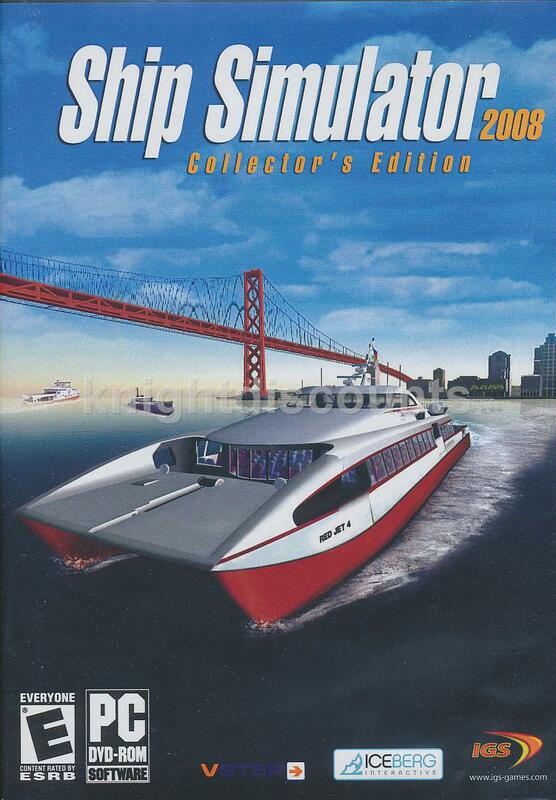 Recommended: 2.4GHz dual-core processor, 1GB RAM, 1GB free hard drive space, DirectX compatible video card with at least 512MB VRAM (must support Pixel Shader 3.0).